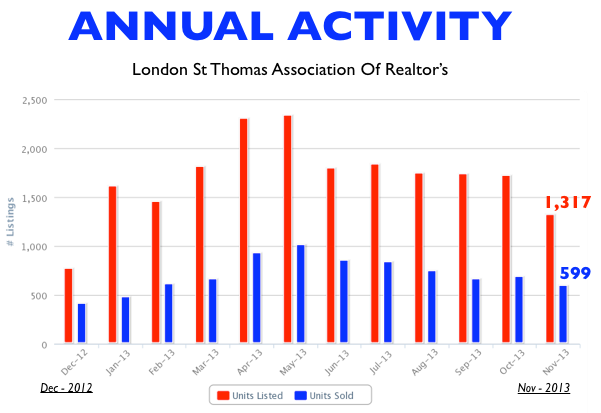 November was a month where listings out paced the sales by a margin of 2.20 to 1. The data shows that the market is in the buyer market range. Three things sell a home: Location, Condition and Price. Which of these is affecting your sale?